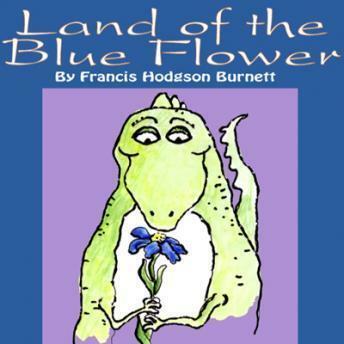 Frances Hodgson Burnett (1849-1924) was an English-born author of romances and books for children. After moving to America in 1865 she established a popular reputation with the publication of That Lass o'Lowries in 1877. She is best known for such stories as Little Lord Fauntleroy, The Little Princess, and The Secret Garden. This charming fairytale by the author of the beloved Secret Garden is not just for children, but is a kind of ""spiritual tonic"" for folks of all ages. Ever since discovering HJKramer's magical edition, I have turned to Blue Flower during times of spiritual or physical depletion and have always felt uplifted and enlivened by its positive message and exquisite artwork. The book came to me in a strange, ""Heaven-directed"" way, during a time of immense grief over the death of a relative. I was ripe for its insightful messages that, ""If you fill your mind with a beautiful thought, there will be no room for an ugly one""; and ""There is no time for anger..."" I have always been bolstered by this particular edition, so gracefully illustrated by Judith Ann Griffith, and over the years have gifted a few special souls, adults and children alike, with copies of this delightful book.